Exclusive! Oh, those eyes! Who wouldn't want to see this cute face each day? 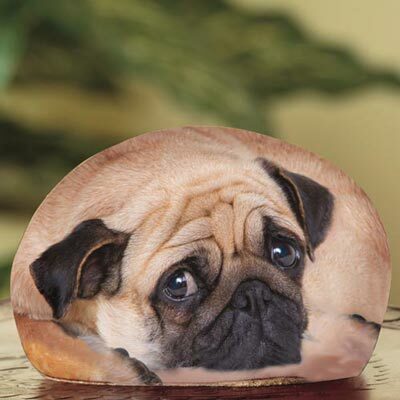 Keep this photorealistic Pug Paperweight anyplace you need to keep papers neat and tidy. Image on front, faux river rock on back. Resin. 2½"h.